Gas prices are rising across the nation and the Valero on Erie Blvd. East in Syracuse, New York is no exception. By Josh Widman SYRACUSE , N.Y. (NCC News)- Syracuse has fallen victim to the increase in gas prices that is currently spreading across the country. According to AAA, the average price of gas has gone up $0.05. The price of regular gas at Valero on Erie Blvd. East in Syracuse has swelled by $0.15. 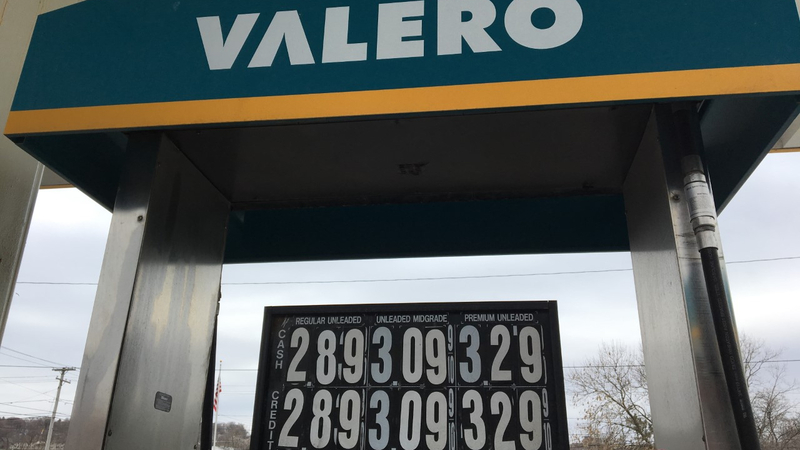 David Cooper, cashier at Valero and Key Pizza, explained that the increased prices affect business and sometimes forces residents to make a choice. Central New York resident, Michael Graddy fills the tank in his SUV up about once a week. Not only is this price increase taking more money out of his wallet, it is forcing him to reconsider his vehicle of choice. For now, he still has his SUV. However, the vehicle’s tendency to go through gas quickly has impacted just what Graddy can do and where he can go with it. Cooper believes that Graddy and the rest of the drivers in this country won’t see as drastic an increase in price once the weather gets warmer. and customer sides of gas. Cooper has a simple explanation. is effecting business because it forces some people to make a choice. gas prices has him reconsidering his vehicle of choice. With the car Graddy has now, the current prices have limited where he can go. Erie Boulevard East, Josh Widman, N-C-C News.